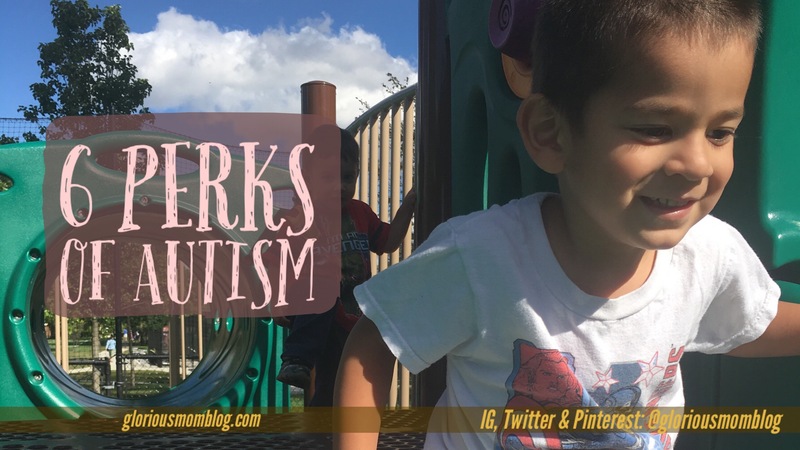 My three year-old son was born with a heart defect (read about that here), and was diagnosed last summer with autism (read about the diagnosis here). So I fully understand that it’s a challenge, and simple things like getting your son to tell you what he wants can be nearly impossible. At the same time, life with my little special guy is amazing, and I wanted to share a few of the special things as well as a few laughs with you. 1. At least one of my kids is quiet in the car. Jac is calmed by sitting in the car, feeling it rumble as we drive along. 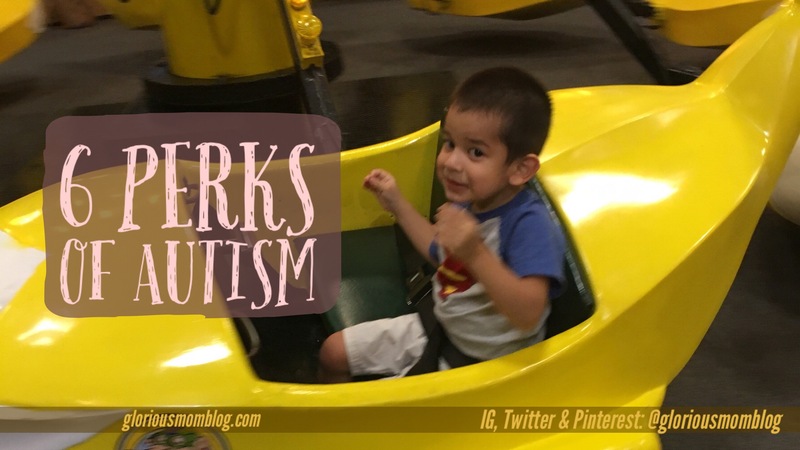 His version of sensory processing disorder results in him enjoying almost all varieties of movement. While my daughter is trying to hijack the conversation between my husband and I, and my youngest son constantly screams, “Mama! Mama! Estygujnlgdfjojfjklkfdfg”, Jac is peacefully gazing out the window. Most of the time. 2. He’s getting plenty of probiotics. Jac having SPD (most kids with autism have it) means he has strong preferences for certain types of food. Other kids might outgrow their inclination to eat a certain type of food, but Jac’s been digging yogurt for a few years now. Imagine how healthy his immune system is. Of course, the downside is that cleaning it off the floor, walls, and radiator isn’t fun, but that’s with any type of food, anyway. 3. I get some serious eye contact, smiles, and cuddles from this guy. Sometimes I think he withholds his affection from almost everyone in the world just so he can save it for me. He totally makes me feel like a million bucks. My oldest is pretty lovey dovey, my youngest, well, I’m lucky if he lets me hold him for more than a few seconds, and forget about getting a kiss from that guy! 4. He’s totally buff for a three year old. I blame autism. Jac is working on his six pack and has well-defined calves and shoulders. He gets it from swimming on the floor, something that he does to regulate himself when he needs extra sensory input. My youngest actually sits on him while he does this. He also has a little excited happy-dance he does where he stands on his toes. Hello, calf muscles! Of course, his superb fitness works against me when I’m trying to prevent him from running away to Mexico. 5. He doesn’t talk my ear off. Granted, there are times that I would give anything to hear him say words that express his needs instead of screaming and crying, but his sister talks so much constantly that my brain is doing jumping jacks trying to answer her in a way that she knows I’m paying attention, while I’m wiping the yogurt off the walls and sending grant applications to foundations. So I actually don’t mind sometimes that the sounds coming out of his mouth are just fun sounds and not words that he’s expecting me to answer. 6. He keeps me fit. Now I’m not exactly a Victoria’s Secret model over here, but chasing him down while he ignores my request to “come here” in conjunction with wrestling my actual toddler, keeps my sweets addiction from turning me into the Pillsbury dough boy. There’s soooooo many other perks, but I got tired of having to change all my picture every time I increased the number! 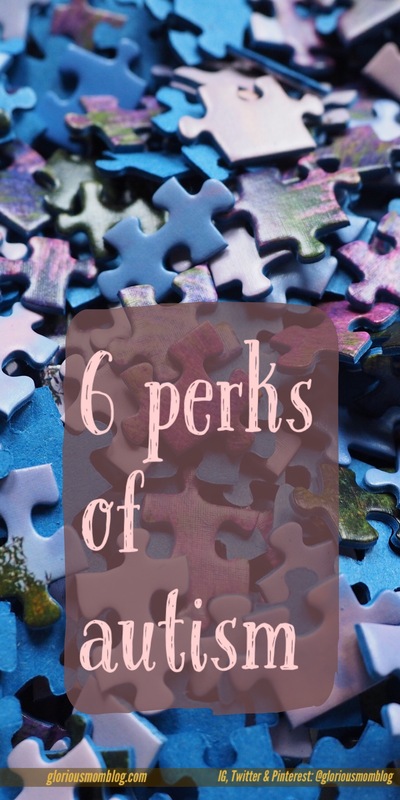 Autism is a challenge for everyone in our family, but not everything about it is horrible! We are so blessed to have this unique little guy in our lives, and constantly thank God for Him. This is a great perspective, Susan! I got to work with many delightful kids with autism when I was a teacher. One thing I appreciated was that some of them had this amazing attention to detail- they’d notice things I’d never paid attention to before! Thanks! I wanted to counter some of the frustrating and depressing stories with some of my good experiences. 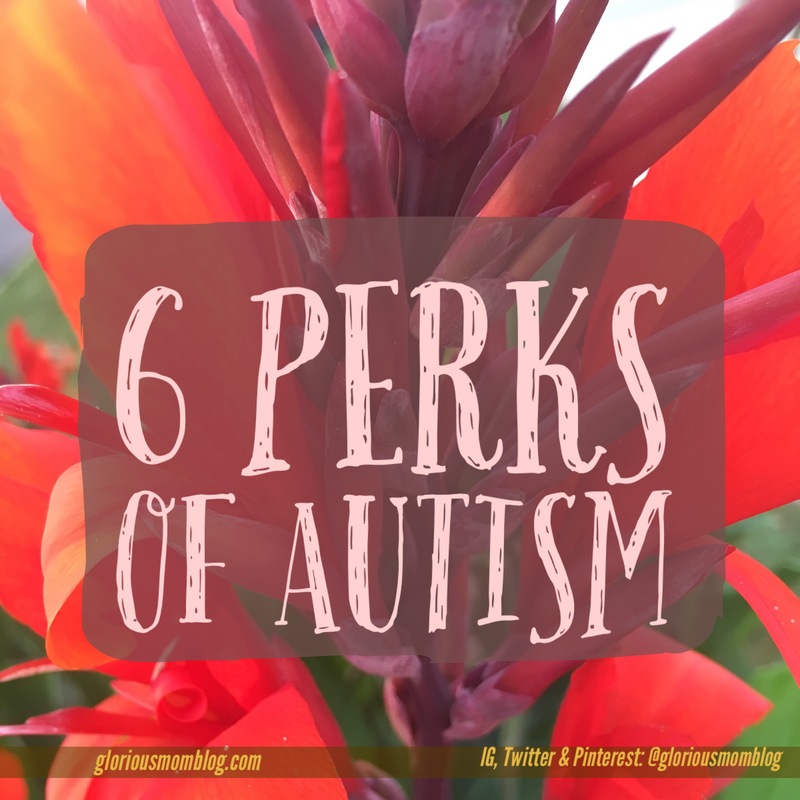 Love that you chose positive aspects of autism to talk about. Well done Mama! Sharing this one on multiple social media platforms! I really enjoyed your post! It warmed my heart to read it. Your child has a beautiful soul. You are doing a great job. Thanks! We are blessed for sure! Thanks for visiting the blog! He’s a treasure! As one who has perosnally witnessed you do this, as well as participated in it myself, it made me laugh. Not only is he quick, but he is an escape artist too! Since he studies an area quite well (aka my own living room or backyard during playdates) he knows his routes to get where he wants to go even while being chased! Love that little guy! Life is an adventure with him! I don’t know much about autism, other than the negative parts. It’s nice to read about the not so bad side of it too. I’m also hearing the negative stuff. 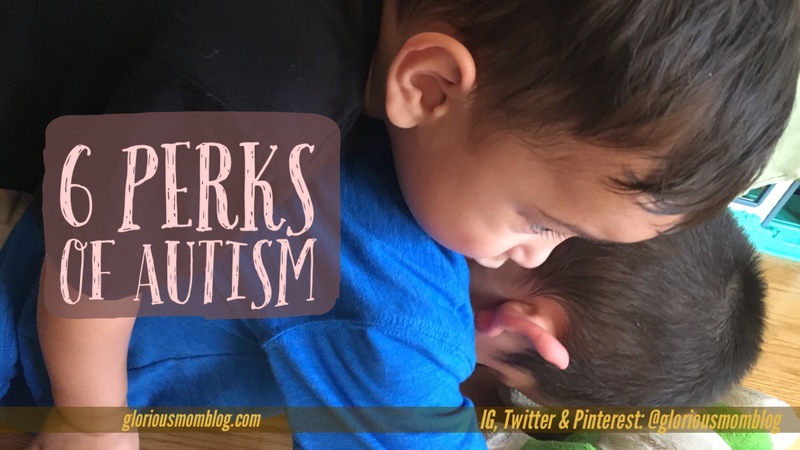 It’s really a challenge being an autism mom, but it’s wonderful being Jac’s mom! Susan, it’s so wonderful how you’ve turned what most view as all-challenges into things to be thankful for. Seeing the beauty in your son is a lesson for all of us! This is so sweet, and I love the outlook you have. I’m sure you have a lot of difficult times, but focusing on all the good stuff can really help everyone in the family. That’s so wonderful how affectionate he is. He sounds like an amazing boy! He really is! It’s not hard to see the positive side to him. Number 3 really touched me. The extra long hugs. That’s just how they were created. Makes me think about my babies and how much I savor them. My middle one is the one that really needs that touch. Her behavior changes if she doesn’t get her bear hugs or compressions. You are such and awesome mom. Bless you and your family.